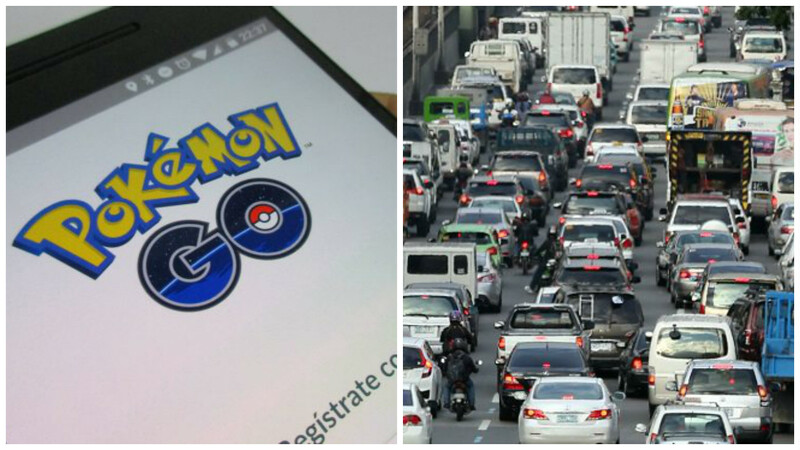 MANILA, Philippines - Albay Rep. Joey Salceda has blamed the phenomenal augmented reality game Pokemon Go for the worsening traffic situation in EDSA. According to the solon, players of the popular game in private cars hinder traffic while trying to catch Pokemon creatures. Salceda, who criticized the Metro Manical Council’s (MMC) action to ban provincial buses from EDSA, said millions of Pokemon Go players pose more threat in Metro Manila traffic compared to 3,300 provincial buses. He said that players stop at certain spots or “lures” where rare Pokemon characters can be caught. "Dahan-dahan, may Pikachu dito. Itabi mo sandali, may Lures dito. Multiply that by the 2.5 million cars in Metro Manila,” Salceda said. Saying that the MMC’S move was anti-poor, Salceda explained that passengers use provincial buses where they pay P450 for ordinary and P750 for air-conditioned since they cannot afford the more expensive plane fares. Composed of city mayors and government transport officials, the Metro Manila Council approved a resolution banning provincial buses from EDSA in order to improve the traffic situation in the area. The group claimed that the resolution was in compliance with Duterte’s State of the Nation Address order to move away terminals from city centers to decongest major thoroughfares. Bishop Carlito Cenzon of Baguio City has also banned people from playing the worldwide hit app in the vicinity of Baguio Cathedral. According to Cenzon, church-goers lose their manners and play the game even during mass. "Nawawalan ng ugaling maganda...kapag nagmimisa tayo, siyempre bawal iyon. Dapat makisama ka sa pagsamba sa Panginoon,” Cenzon said. Several Pokemon Go players in Baguio City said churches are often named by the game as PokeGyms or PokeStops where players can gather special items and battle fellow players.